Smiling and Laughing Have Health Benefits - Fact or Myth? Smiling and laughing have health benefits. Does Smiling Have Health Benefits? Does Laughter Have Health Benefits? Smiling and laughing have health benefits, they improve your mood and the moods of those around you. An uplifted mood has been long-linked to good health. That said, a fake smile doesn’t always have the same effect (although a fake laugh can). Digging for truth isn’t always a happy thing (trust me), but active optimism is the friend of a happy, healthy and productive mind. Looking for little reasons to laugh and smile, and drawing a laugh or smile out of a friend or group, has a pretty amazing butterfly effect that is up-lifting. This isn’t just new-age newspaper psychology, but rather a well-studied biological and neurological science-backed data pulled straight from peer-reviewed scientific journals. As Chaplin knew instinctively, and as modern science has shown, “Laughter is the tonic, the relief, the surcease for pain” (in other words, “laughter is the best medicine”). 10 Health Benefits of Laughter. TIP: There are more studies on laughter and smiling than we can tout on this page. See an extensive list of good citations here, and here, or see peer reviewed study on health benefits of mood. Laughter is the physiological respo­nse to humor (and related emotions like joy), there are some interesting biological effects related to laughter that signal the brain for happiness. See a simple but technical description of laughter here. Like laughter, smiling is the is the physiological respo­nse to joy (and related emotions). There are also interesting biological effects related to smiling. Happiness is the state of being happy. The feeling of love, the pursuit of excellence (areté), the feel of connection, a physiological respo­nse to joy? There is no good answer to “what is happiness?” It is oddly philosophical, yet we know it when we feel it, and it is confirmed to have health benefits. Check out the video below for a philosophical look at happiness. Why Do We Feel Good When We Smile and Laugh (Physiologically and Chemically)? Stimulating endorphins (the chemicals our brain releases that make us feel good). Stimulating neuropeptides which talk to neurons and fight of stress. Stimulating serotonin which works as a natural anti-depressant. Stimulating the increase of oxygen in our lungs (from deep laugh breaths). Stimulating blood circulation (as the muscles move to laugh or smile). Stimulating the movement of muscles (which is healthy, feels good, and releases stress). MYTH: Despite the health benefits of smiling, it is essentially a myth that it takes more muscles to frown than to smile (actually it is about the same). Frowning takes 12 muscles, while smiling is thought to take 11 (so it takes more muscles to frown, but just barely)..
Reducing stress. Laughing activates your stress response (Neuropeptides) by reducing the levels of stress hormones such as cortisol. Reducing depression. The endorphins, serotonin, neuropeptides, muscle relation, stress relief, and social aspects of spreading happiness all contribute to reducing depression. Improving circulation. Laughing and smiling get the blood flowing and lower the heart rate and blood pressure. Other Mental health benefits. Not being depressed is a great perk, but because laughing and smiling are linked with happiness the mental health benefits are vast. TEDxBloomington – Shawn Achor – “The Happiness Advantage: Linking Positive Brains to Performance”. Many of the health benefits of laughter are mental rather than physiological, this TEDx explains. The key to this article isn’t a need to prove that being happy and funny is better than being depressed and miserable on health or social relationships (that is pretty intuitive), the key is reinforcing the sheer power that spreading positivity and optimism have. Happiness is contagious, and happiness makes us feel good when you spread happiness to others you cause a chain reaction. Moving forward, the people you interact with will anchor that happy feeling to you. This makes you more attractive, more likable, and more joyful to be around. It sets a precedence for happiness and creates a positive feedback loop. Over time, your brain will rewire for happiness (see plasticity). The Causality of Happiness, The Law of Cause and Effect: A 3-minute Buddhist Lecture. This is a science-based page, but Eastern religions had some core principles before western science was developed. Those include “the cause and effect relationship of happiness”, “the fundamental duality, born from the singularity, and split into the elements”, “the health benefits of meditation and relaxation”, and “the health benefits of laughing and smiling.” With this in mind, we look at causality of happiness and the social effect of happiness from the lens of the Buddhist. TIP: A positive feedback loop is where you put positivity out into the world and thus get it back (not “karma”, but rather a plasticity and the way social psychology works). A negative feedback loop is where you put out negativity and get negativity back (for the same sociological and neurological reasons). Smiling and laughter and a positive outlook create positive feedback loops in your life and culture. One might thing faking a smile or laugh is good, and to some extent they can be, but there are something to watch out for. Do Fake Laughs Have Health Benefits? 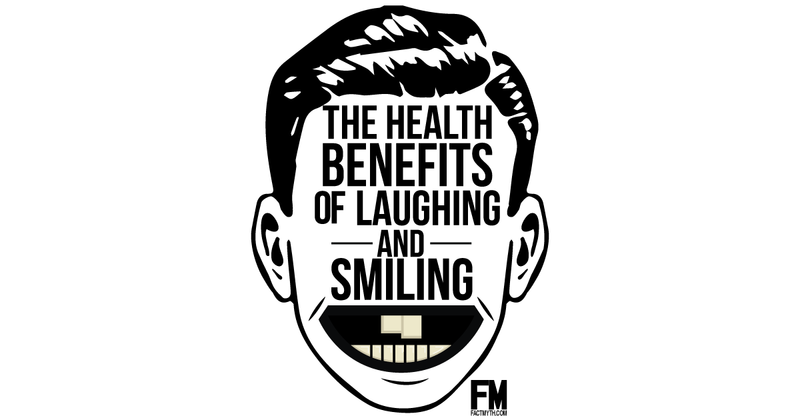 Fake laughs can have health benefits, but they don’t have the same effects as real laughs. In Yoga, Tai Chi, or other eastern meditative practices laughing is encouraged. You might have heard of the Laughing Buddha; this concept is in Eastern thinking for the same reason Western science likes laughing because it works. A fake laugh sends different social cues, but it has many of the same physiological effects. See this article for more information: Even a Fake Laugh Will Do. Your Fake Laugh Isn’t Fooling Anyone! Do Fake Smiles Have Health Benefits? A fake smile isn’t as useful as an artificial laugh. A fake smile has health benefits (force a smile right now and you’ll feel a little positive bump in your mood). With that said, a genuine smile is different than a fake one, especially to the observer (the effect can be seen in the squinting of the eyes). Our brain knows the difference between fake and real smiles and so do other people. A fake smile can have positive health benefits and help mood, but it can also backfire by making you appear dishonest. It can also result in you not dealing with your feelings and not being honest with others about what is going on in your life. See this article for more information: How to Overcome Fear and Negativity Almost Instantly. Positive emotions are strongly linked with smiling and laughing. Beware faking it, and instead seek out reasons to smile and laugh for real. Smiling and laughing are the best medicine, not just for health and wellness, but for a happy healthy group, culture, society, world, message, or whatever.